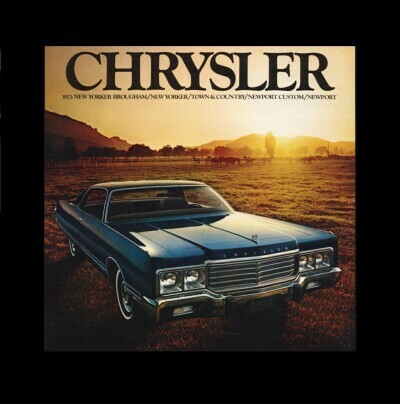 The 1973 Chrysler models received a major facelift up front. The loop-style bumper was gone due to federally mandated impact protection standards. 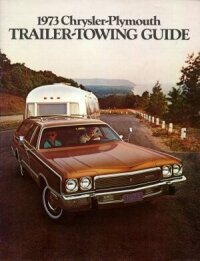 These regulations were also responsible for the introduction of the elastomeric bumper guards that can be found on all 1973 Full sized cars from Chrysler Corporation. In the rear not much had changed from 1972. Slightly altered tail light lenses were the major innovation here. Newport tail lights remained of a slightly curved vertical layout but were now optically divided in an upper and a lower section. New Yorker tail lights ran full width across the rear with the back-up lights in the center. Front disc brakes and the electronic ignition were both a carryover from the previous year. 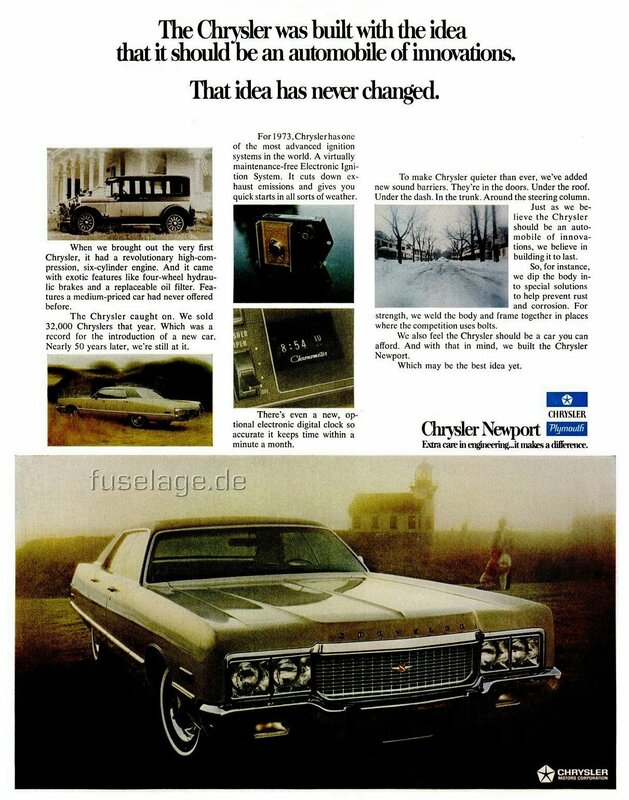 New for 1973 were an optional "Chronometer" digital clock and an optional alarm system. The 400 cui engine again functioned as the Newport base engine while the famed 440 cui powerplant was standard in the New Yorker. 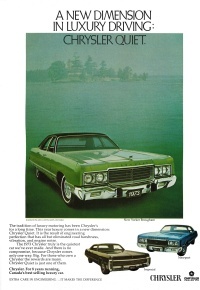 The lineup again consisted of the New Yorker Brougham and the New Yorker, the Town & Country station wagon, the Newport Custom and the Newport. 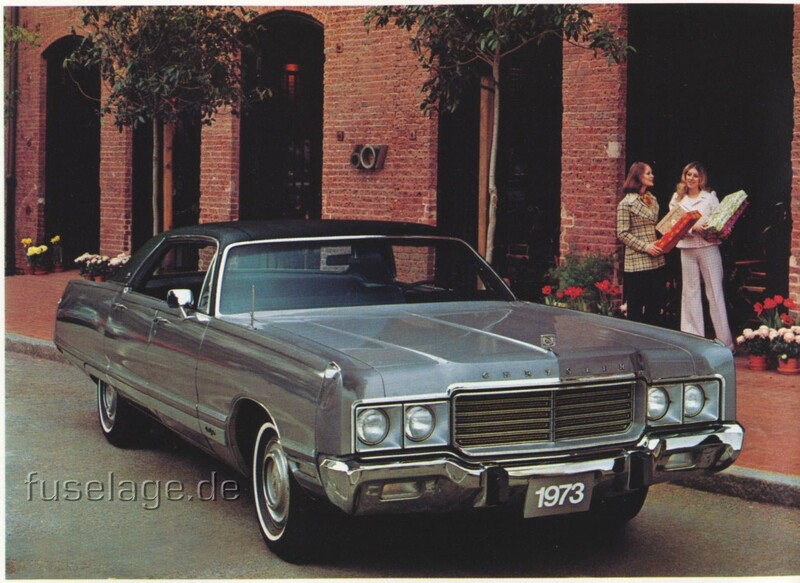 This photo of a 1973 Chrysler New Yorker four door hardtop can be found in the Corporation's 1972 Annual Financial Report. 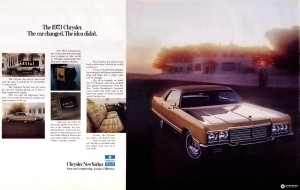 Spring of 1973 saw the introduction of a "Gold Sticker" Chrysler Special Edition with remarkeable Navajo-plaid upholstery. Based on the Newport, it was available as a two- and four-door hardtop. 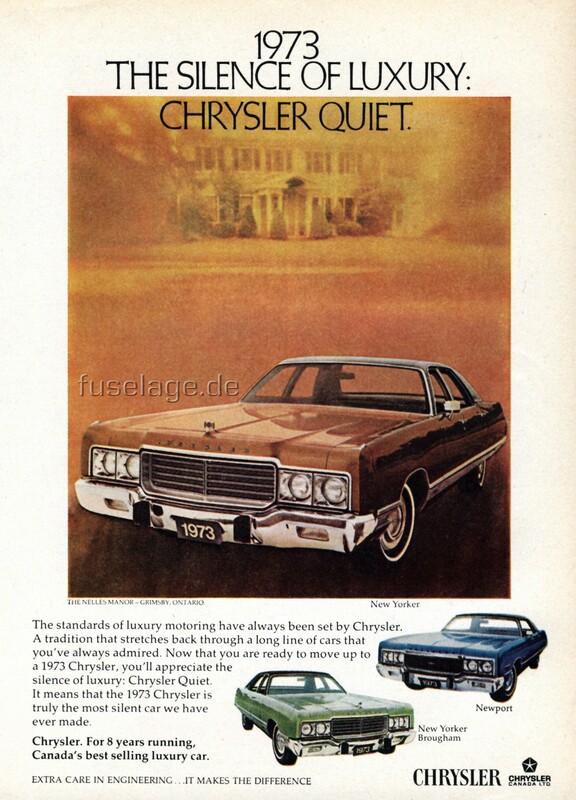 This magazine ad promoted the 1973 Chrysler New Yorker and emphasized the technical innovations as well as Chrysler's built-in quality. 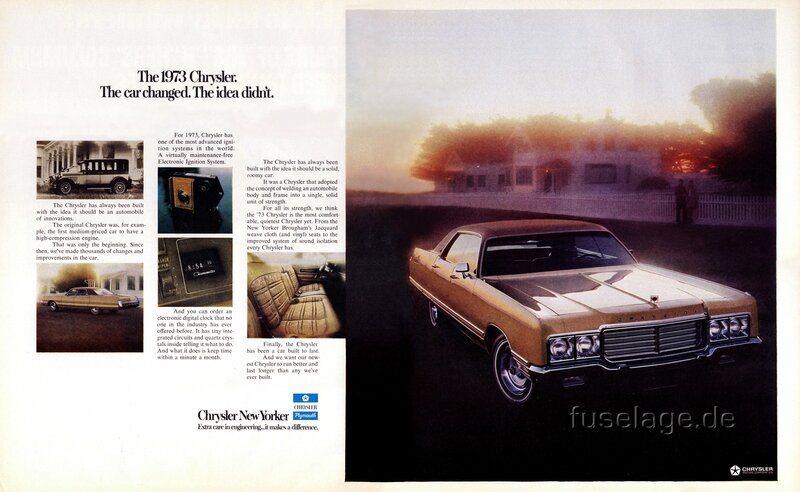 This ad promoted the 1973 Chrysler Newport, emphasizing technical progress. 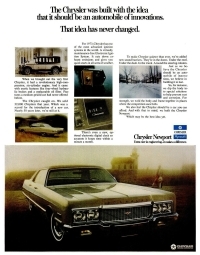 This Canadian magazine ad promoted the 1973 Chrysler New Yorker and Newport, referring to both as Canada's best selling luxury car. 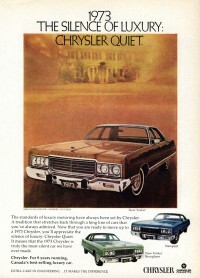 Another Canadian magazine ad promoting the Quietness of the 1973 Chryslers.